New client, office furniture-maker Senator, has an exciting new take on the desk. 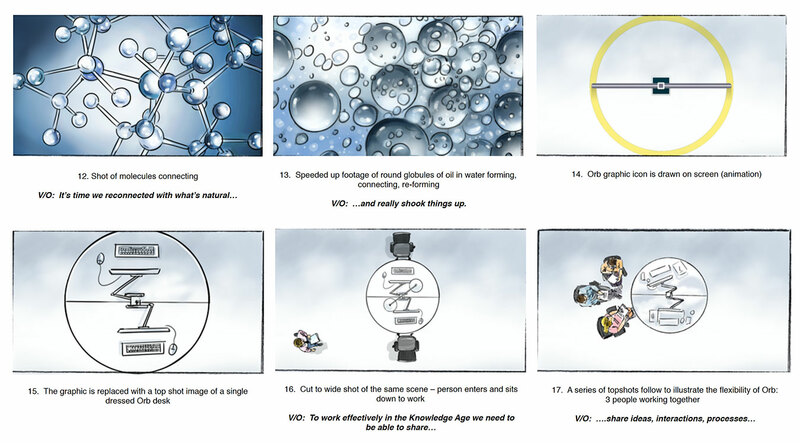 For the launch of their Orb range they wanted a film that explained why making it round encourages better, more collaborative working. Our storyboard concept took the shape of the desk and made it literally the centrepiece of the film. 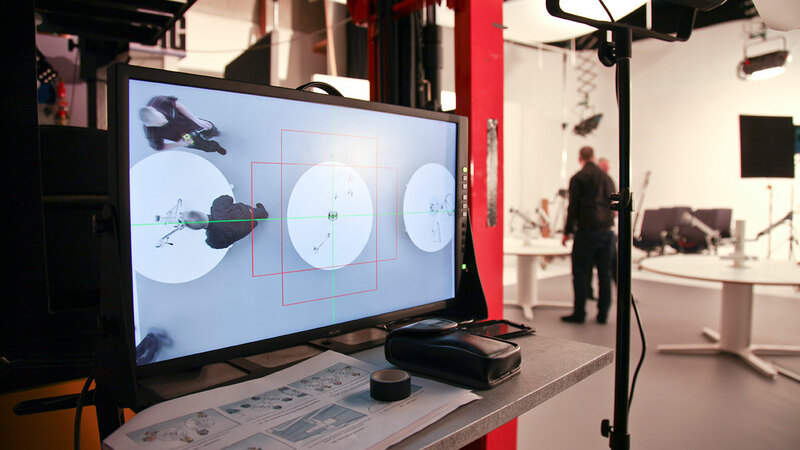 We shot an opening sequence in the motion control studio using a (round) compass to introduce the idea of navigating the workplace of tomorrow. The film then moves into a studio set filmed from directly overhead with a locked off camera. By locking the camera off we could move seamlessly between different set ups with models to show how the shape of Orb encourages collaboration and can also be successfully integrated in a variety of different office settings. To get across the attention to detail involved in creating the range we filmed a desk separately back in the Manchester motion control studio and combined the live action with a highly detailed 3D model showing the interior of Orb’s central column which is used for concealed cabling and easy access to power. The final night-time shot, once again from the overhead camera position neatly wraps up the film.